It’s no secret that food is tightly woven into the swimming culture. From pre-meet carbo load sessions to post-practice gorges to some swimmers wanting to cut weight, it’s almost impossible to avoid the presence of food in swimming rituals. But a less talked about, and often taboo subject in the swim community, is the presence of eating disorders in swimmers. This is hardly a new topic, but recent research deserves review in this context. Further, many coaches, athletes, and parents are simply unaware of the problem while others retain a balance of ignorance and denial. 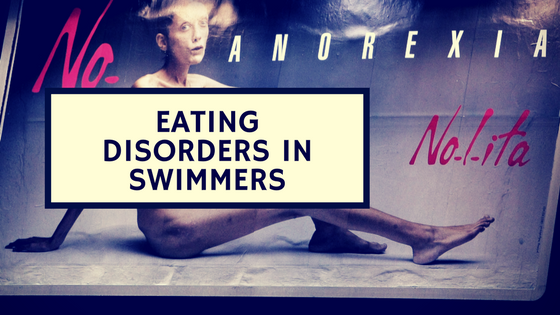 Swimming, by its nature, carries a higher risk of athletes developing eating disorders. “Athletes in leanness-demanding sports have an increased risk for RED-S and for developing EDs/DE. Special risk factors in aquatic sports related to weight and body composition management include the wearing of skimpy and tight-fitting bathing suits.” (Melin 2014) Though many swimmers are proud to showcase their sculpted bodies with minimal clothing, the constant display has a psychological cost for many, particularly females. Like many issues outside the pool, awareness is most important. While coaches and parents may lack certain expertise to intervene if problems reach clinical levels, everyone has the expertise to create the right environment to prevent problems. 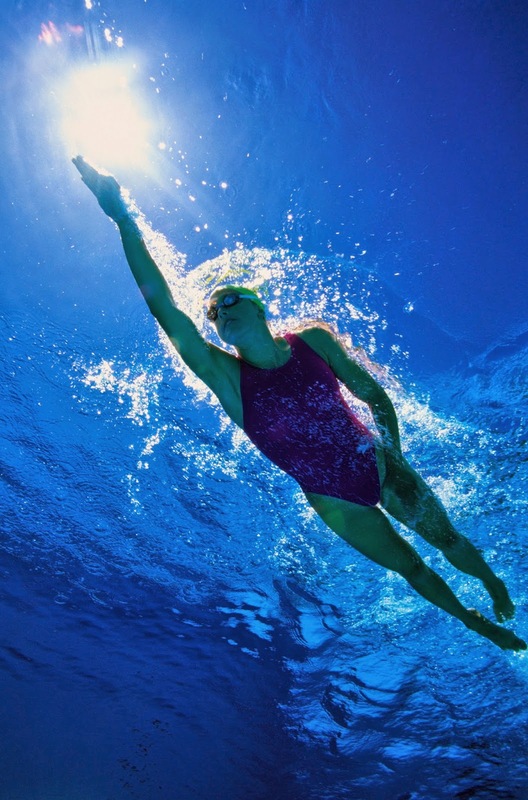 Though swimmers are often known to eat with impunity to refuel from 4+ hours of practice a day, a dark underside of eating disorders exists among a subset of athletes, particularly females. Awareness is the first key step to ensuring swimmers are healthy both mentally and physically to thrive in the pool. Krentz EM1, Warschburger P. A longitudinal investigation of sports-related risk factors for disordered eating in aesthetic sports. Scand J Med Sci Sports. 2013 Jun;23(3):303-10. doi: 10.1111/j.1600-0838.2011.01380.x. Epub 2011 Aug 18. Melin A1, Torstveit MK, Burke L, Marks S, Sundgot-Borgen J. Disordered eating and eating disorders in aquatic sports. Int J Sport Nutr Exerc Metab. 2014 Aug;24(4):450-9. doi: 10.1123/ijsnem.2014-0029. Epub 2014 Mar 25. Brown KN1, Wengreen HJ2, Beals KA3. 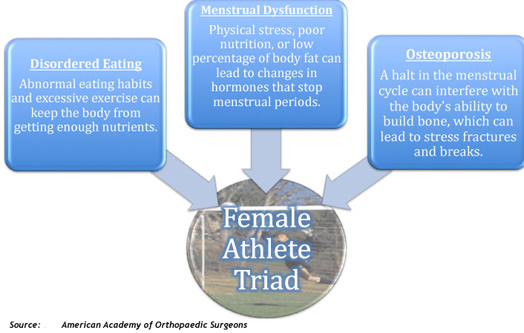 Knowledge of the female athlete Triad, and prevalence of Triad risk factors among female high school athletes and their coaches. J Pediatr Adolesc gynecol. 2014 Oct;27(5):278-82. doi: 10.1016/j.jpag.2013.11.014. Epub 2014 Jul 9. Kroshus E1, Sherman RT, Thompson RA, Sossin K, Austin SB. Gender differences in high school coaches' knowledge, attitudes, and communication about the female athlete triad. Eat Disord. 2014;22(3):193-208. doi: 10.1080/10640266.2013.874827. Epub 2014 Jan 23.
da Costa NF1, Schtscherbyna A, Soares EA, Ribeiro BG. Disordered eating among adolescent female swimmers: dietary, biochemical, and body composition factors. Nutrition. 2013 Jan;29(1):172-7. doi: 10.1016/j.nut.2012.06.007. Epub 2012 Sep 28.